Join in the Fun at the Pajama Party. 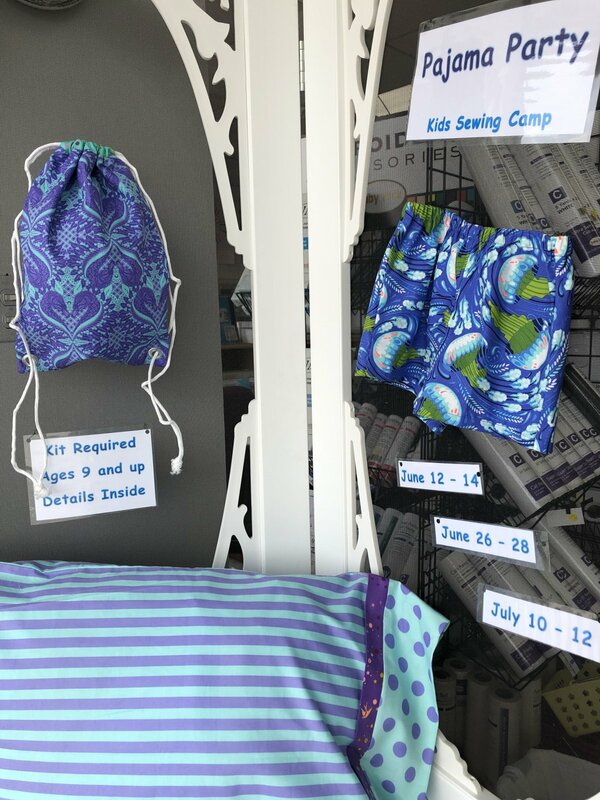 During the Kids Sewing Camp, we will learn about sewing, machines and construct Pajama Bottoms, Pillow Case and Backpack. You'll be ready for that fun sleepover.You need to be 9 years or older. Bring your machine if you have one or rental is available. Look forward to you joining us.